Ship & Shore Environmental designs, provides, and services systems for groundwater and soil treatment applications. 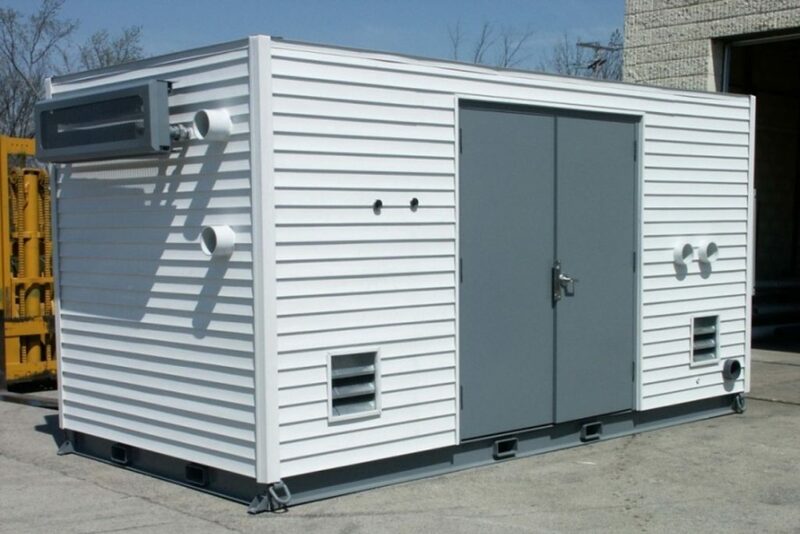 If required, these systems can also be combined with a thermal oxidizer. Our staff of professionals has the capabilities to assist professional engineering consulting (EPC) firms and end users to bridge any technical gaps that may occur between environmental, electrical, and mechanical engineering disciplines. Our facility is equipped to produce quality, cost-effective solutions and equipment to meet any project requirements. Remediation solutions are based on multiple technologies for remediating chlorinated hydrocarbon compounds and emerging contaminants of concern (COC)s such as 1,4 Dioxane, and Per and Poly-Fluoroalkyl substances (PFAS). Our fully integrated systems are factory-tested and incorporate sophisticated controls for system monitoring, data logging, and maintenance. 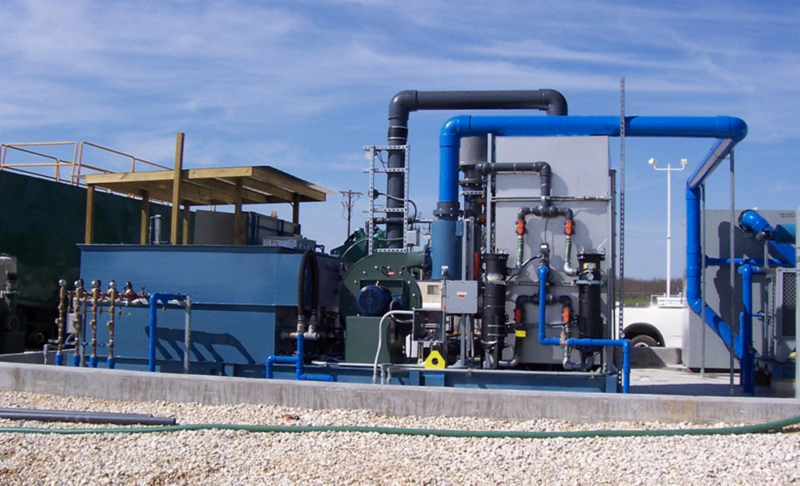 Dual Phase Extraction (DPE), also known as Multi-Phase Extraction (MPE) or High Vacuum Extraction (HVE), uses vacuum pumps to remove various combinations of contaminated groundwater, separate-phase petroleum product, and hydrocarbon vapor from the ground. Extracted liquids and vapor are treated and collected for disposal. High vacuum systems use the same basic technology as dual phase extraction with a higher (typically 18”-24” Hg) applied vacuum. 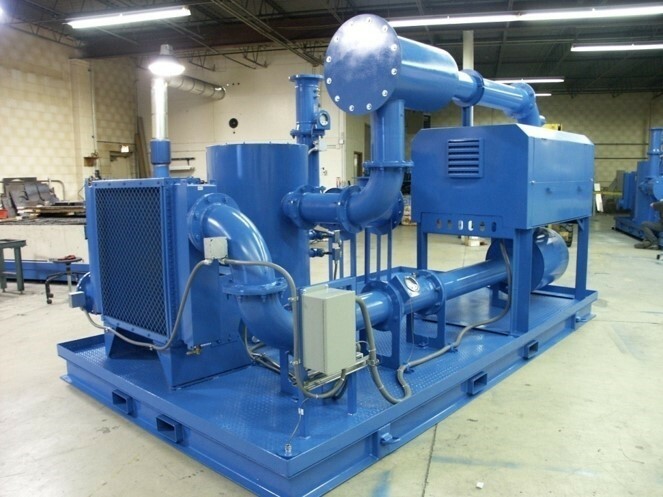 Liquid ring pumps are usually the equipment choice; however, some positive displacement or rotary claw blowers can also be used for this process. 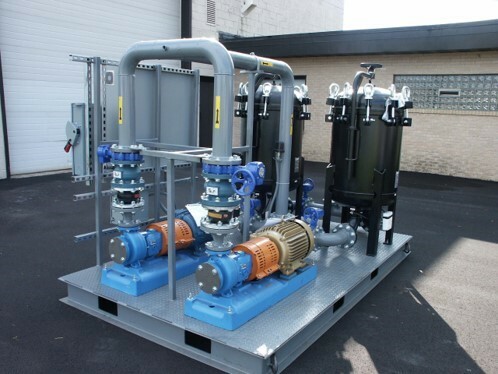 Both Dual Phase Extraction and High Vacuum Systems are available either as skid mounted or as part of an integrated turnkey system. 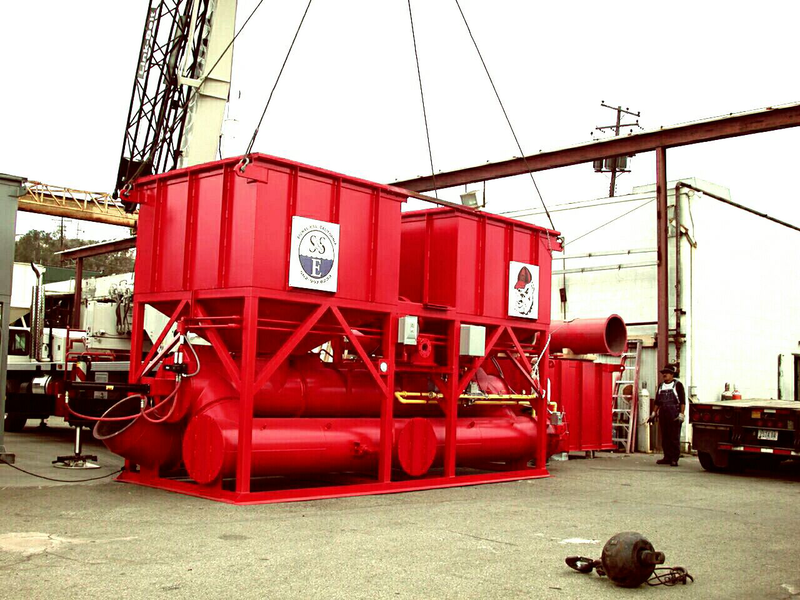 Ship & Shore air strippers are designed to remove volatile organic compounds (VOCs) from groundwater. As groundwater enters through the top of the air stripper, an induced draft fan forces air from the bottom though perforated trays, aerating the contaminated water as it falls through each tray. The resulting aqueous stream has virtually 99% of the contamination removed and the remaining contaminated air is left to be discharged for further processing. Oil water separators are designed to accelerate the natural separation that occurs between water and hydrocarbons. The recovered groundwater/hydrocarbon mixture is pumped into the first chamber of the unit. As the mixture encounters the unique packing material inside the unit, small oil droplets contained in the mixture coalesce and form large droplets that flow to the surface. These large oil droplets are then collected for proper disposal. The treated water can then be submitted for further treatment for dissolved phase contaminants or discharged if required efficiencies have been achieved. 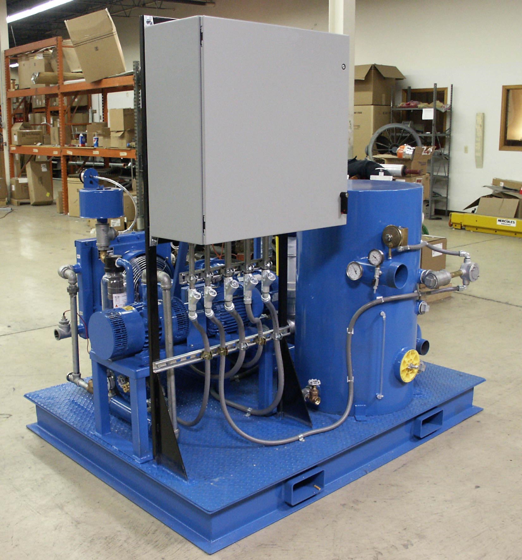 Connections to level and pump controls are standard elements of our design package.